With over 25 years knowledge and industry expertise, we are the right choice for you. Designing, installing and repairing bi-folding doors, windows and conservatories across Wakefield & Ossett, making them hard wearing, practical and stunning. All our staff are reliable and hardworking, and are locally based in Wakefield or Ossett. You will always get the doors and windows you demand, and at an unbeatable price because we never use the hard sell and the price quoted is the price you get. No hidden extras. Our highly trained staff are waiting for your call, so get in touch today. Our reputation is built on solid foundations, just like our windows and doors, so you know you are in safe hands when you choose us. We listen to your needs and cater to your exact specifications, delivering what you want. To get the ball rolling, speak to us right now and we'll come to give you a free estimate. Call our Wakefield & Ossett team for free on 0800 011 4195. We're fully IPWFI insurance backed & we're Fensa registered, so you know you're getting top quality workmanship. 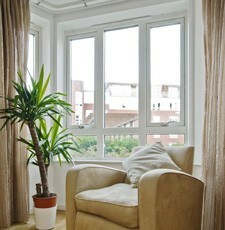 For all your window and conservatory needs, call us today for free advice, help or a free quote!